It's too rare that an experience with a vendor blows us away. Have you had an experience worth sharing? Recently, a Department Chair expressed interest in taking a lecture solution for a spin, and I was eager to facilitate this request. Unfortunately, I came up against one little hurdle after another as I tried to work through configuration to take the product for a test run. 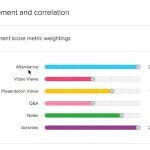 Eventually the proverbial light appeared over my head, reminding me that I had taken another lecture capture solution for a successful test run years ago and it was a piece of cake, so why the heck was I wasting my time with this difficult tool? The product I used with ease a year or two ago was Tegrity, so I reached out to my old contact there on a Thursday afternoon, and informed him that I was desperate to set up and test Tegrity again the next day if at all possible, so we could be prepared to use it a trial situation on the following Monday. These folks (specifically Curtis Waters, Dave Anderson, and Scott Paganelli) bent over backwards to help me get this done! I had a technical glitch that they went out of their way to make themselves available to work through, and it was easily resolved once I found the time to work through it. I delighted in using their straightforward product – with the initial configuration done, using the app was a breeze. Of course, I realize that this was early in the selling process for these folks, and it shouldn't be a surprise if they jump through hoops at this stage, but on the contrary, its shocking how often this doesn't happen. Yes, vendors should bend over backwards in the early stages of working with a new customer, and when that effort is combined with a free and easy product trial, they are on their way to establishing a new customer for the long term. It is just too rare that an experience with a vendor and product is truly inspiring. I was so impressed with the Tegrity tool and team that I wanted to reach out to readers, share the story, and offer an opportunity for you to share your “vendor excellence” stories. Have you worked with a vendor/product combination that has blown you away? Here's a great opportunity to share your story – comment below and tell us other about the vendor whose service and product thoroughly impressed you. Other readers will really appreciate learning about these vendors and their offerings. I want to close with another experience with product and vendor excellence that I have been thoroughly appreciative of. The College of Westchester has used the Campus Cruiser Portal suite since 2009 and it has been a wonderful product and experience. The Cruiser portal is a hosted solution, and they guarantee 99.7% up time, and consistently overachieve against that Service Level Agreement. Their solution is hosted so reliability is huge, and they have simply excelled. 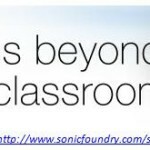 Additionally, the functionality of this suite of portal tools is empowering and impressive. And when I have a question, their support and account reps always get back to me right away. Now if I only I could find vendors and products that perform this well for all the other solutions we need! Can you can make this a little easier for the thousands of others who peruse EmergingEdTech on a daily basis, and bring some recognition and love to vendors who have hit the mark by commenting below and letting the world know about it? 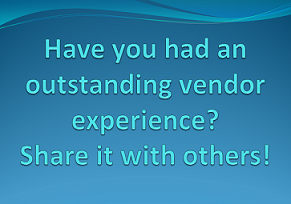 Please comment and share your “vendor excellence” experience. Thanks!